As the weather gets cooler, I crave this soup. It takes less than an hour start to finish. Add a green salad, and some crusty Italian bread, and there’s dinner! 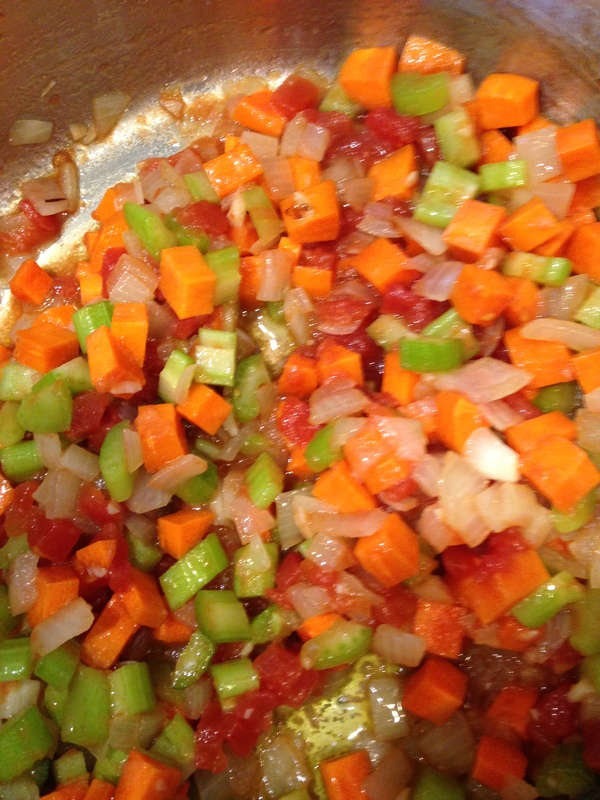 In stockpot, sauté the onion, carrots and celery for about 5 minutes, stirring frequently. Add the garlic, and cook over low heat for about 2 minutes. Add the tomatoes and beans, sauté for another 5 minutes, stirring frequently. Add the broth, salt and pepper. Simmer the soup for about 30 minutes until the vegetables are tender. Meanwhile, cook the pasta in boiling, salted water according to package directions. Ladle the pasta into soup bowls, top with the soup and enjoy!